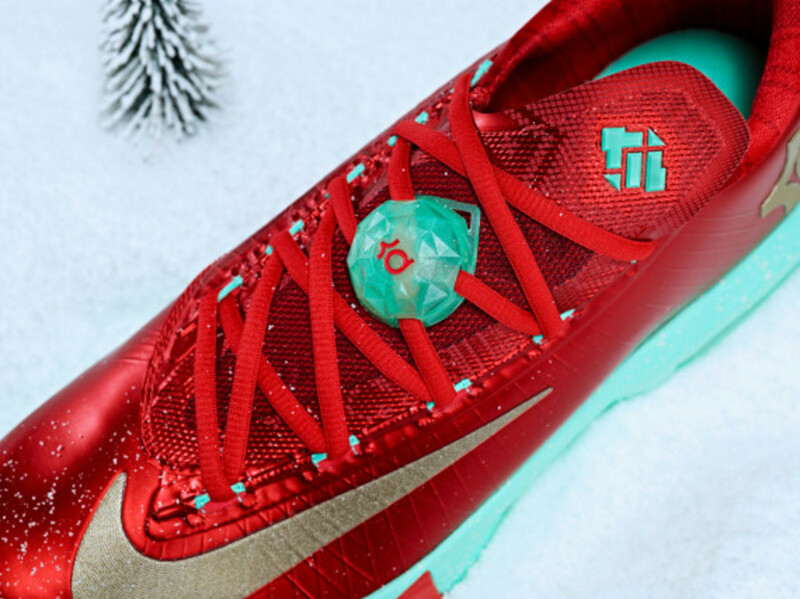 Joining the special Christmas editions of the NikeKobe 8 and LeBron 11 is this similarly themed Nike KD 6, done up in Christmas red with accents of gold and mint. 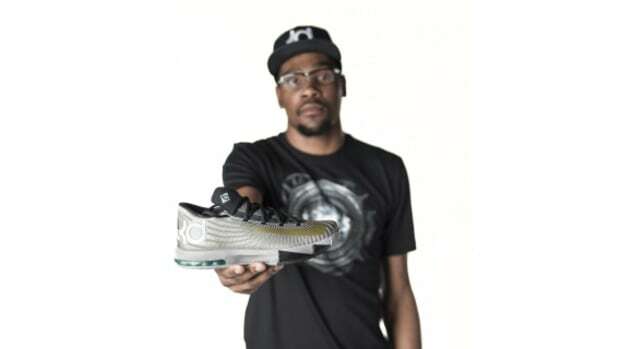 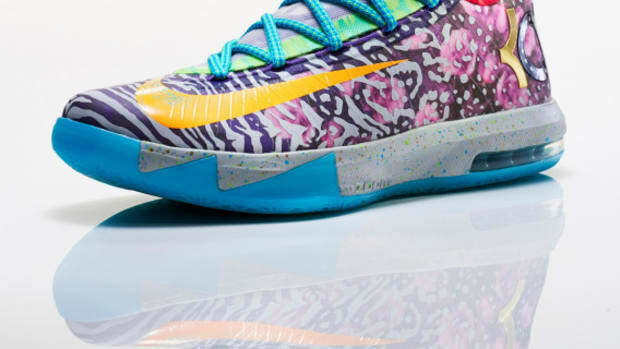 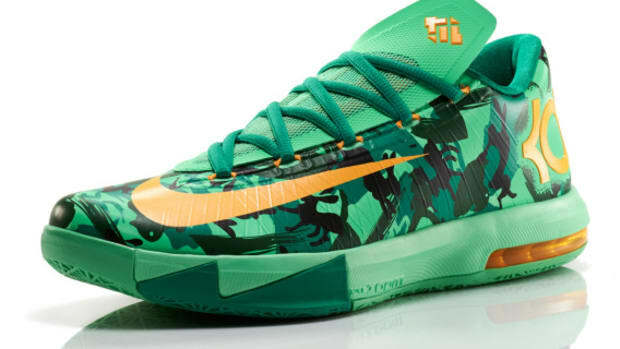 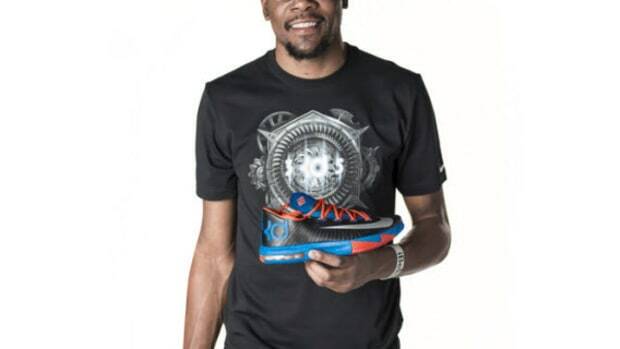 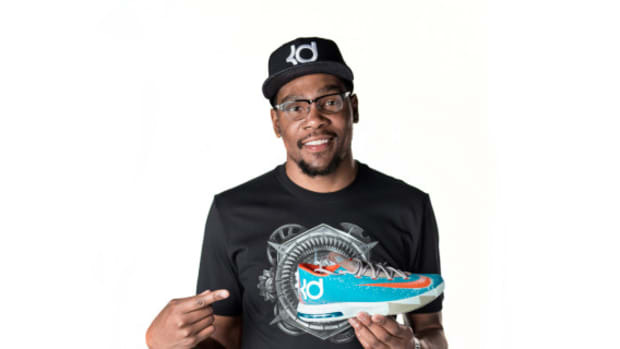 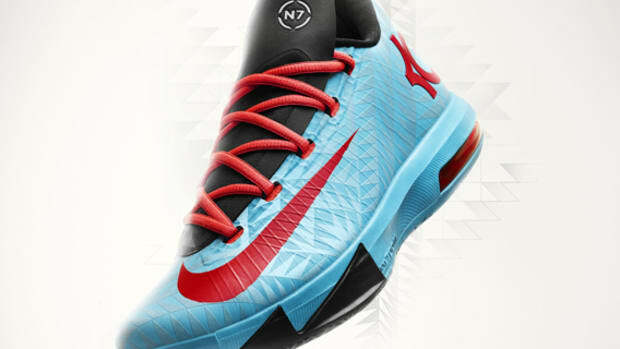 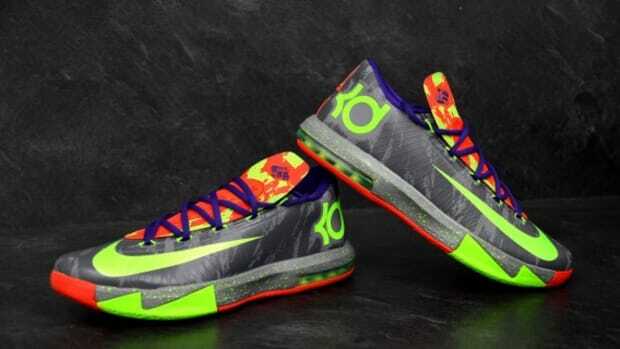 The shoe features a Fair Isle style Christmas sweater pattern that incorporates trees, stripes, and Durant&apos;s 35 uniform number. 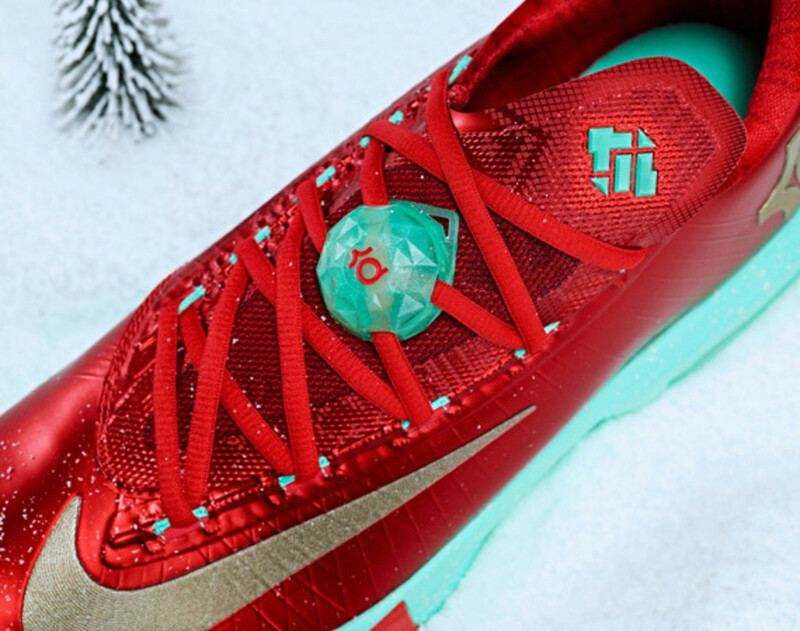 Christmas plaid adorns the collar lining, with decorative detail worked into the metallic red Nike Flywire-infused upper and a mint green speckled sole underneath. 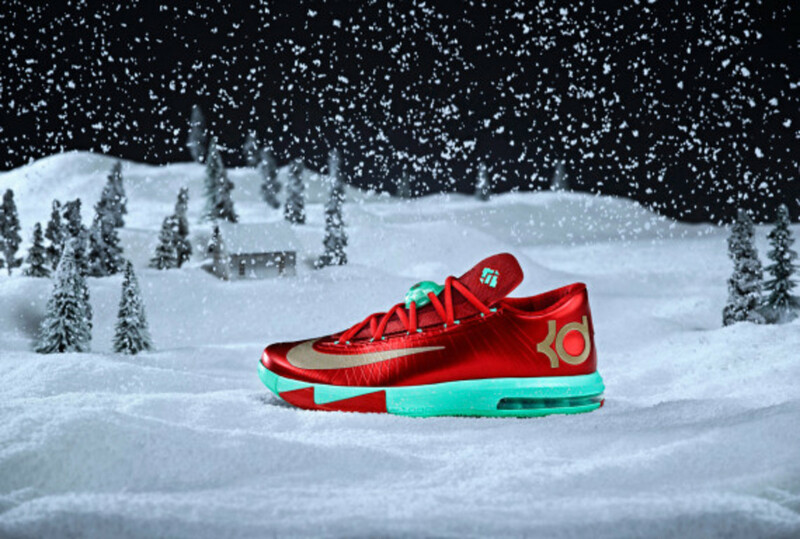 In short, the shoe is the perfect finishing touch on your Chrismtas outfit. 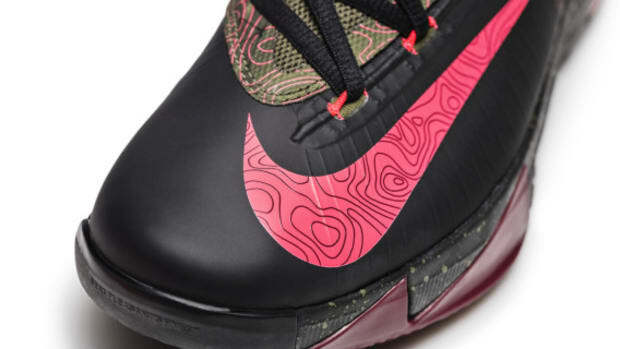 Check out detailed looks below, and expect the kicks to drop at select Nike Basketball retailers and online starting December 26th.